Where Did I Get It? I kindly received a copy from the publisher in return for this review as part of their Book Buddy scheme. Blurb: Peter wants a perfect little pig for a pet. Not a bad little pig, and not a good little pig. Peter wants a good little bad little pig! So his mum sends the farmer a letter. Does Peter get what he asks for? From the hidden treasures of Margaret Wise Brown, author of the children’s classics Goodnight Moon and Runaway Bunny..
One day, a little boy called Peter asked his mother if he could have a pig. 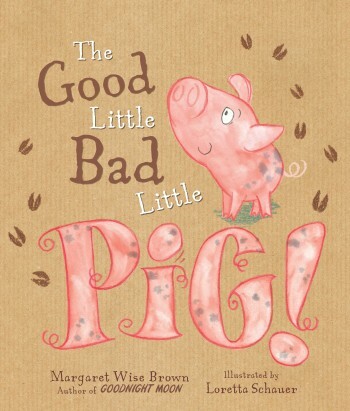 My Review: I opened this book with a little trepidation – I do not seem to love Margaret Wise Brown’s books as much as my children do – but was very pleasantly surprised to find that, actually, I love it! The story is simple and charming – Peter wants a pet pig and Peter gets what Peter wants (I am very jealous, my parents never let me have a goat when I asked for one…). The little pig is the perfect mix of mischievous and well behaved to elicit smiles, groans and giggles all the way through the story. Nobody can ever stay angry with it for long and this is captured beautifully by the illustrations which are bold and bright and friendly. There is lots to look at and talk about without the pages being crowded and the little pig in question is positively adorable. I am utterly in love with its sweet little face. Luckily, Tori and Arthur love this book as much as I do, so it has become a regular bed time story ever since it landed on the doorstep. They love to join in with the noises as the piglet tries to escape bath-time and scoffs up its food and they both have favourite bits where we have to stop and talk about everything in the pictures before turning the page. 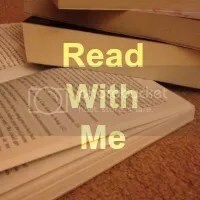 Sometimes we read it twice in a row because we enjoy it so much the first time that we want to do it again and I don’t think you can ask for more than that from any book! Next Post FloridaTix Turns Ten!